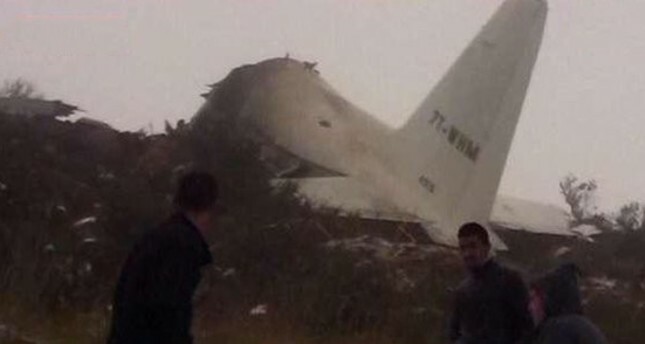 An aircraft of the Algerian army crashed Wednesday morning leaving 257 people dead. The aircraft, an Ilyushin Il-76, came down down few moments after taking off from the Boufarik air base, some 30 KM to the south-east of capital Algiers. It was bound for the western Algerian city of Bechar, near Morocco’s borders. The aircraft was carrying troops and equipment as well as members of the Polisario separatist Front. The army, according to local reports, noted that there were no survivors. Footage captured by witnesses shows a huge plume of black smoke billowing from an area near the runway, Gulf News reports. Ambulances and fire engines were dispatched to the scene to whisk bodies to hospitals. Last plane crash in the North African country occurred four years ago, when a military plane crashed, killing 77 people including troops and their families.